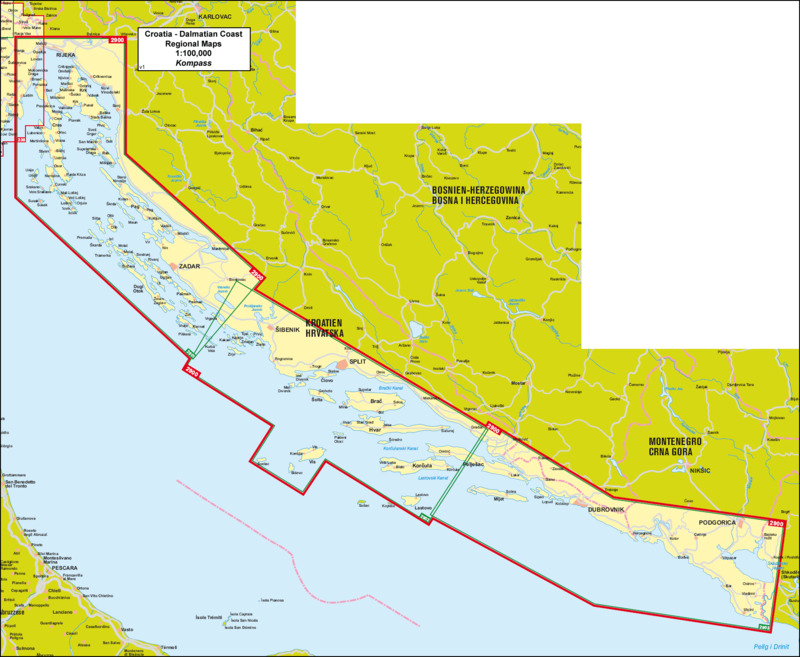 The Dalmatian Coast of Croatia and Montenegro on a set of three double-sided, detailed and GPS compatible maps at 1:100,000 from Kompass. 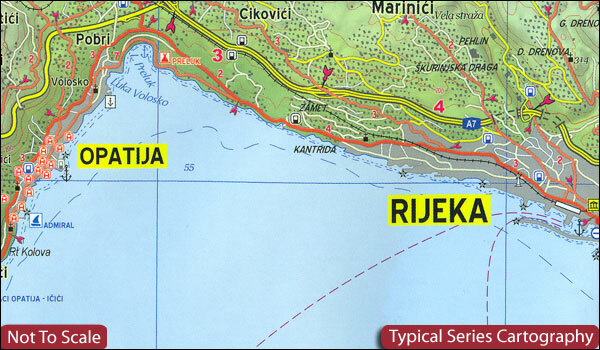 Combined coverage of the three maps extends from Rijeka to the Albanian border. The maps have contours at 40m intervals, enhanced by relief shading and spot heights. Road network includes unsurfaced country roads and cart tracks, and indicates locations of petrol stations. Railway lines are shown with stations and ferry routes are marked. An overprint highlights a selection of waymarked hiking trails. Picturesque towns and villages are highlighted and symbols mark various places of interest, including selected hotels, campsites and mountain huts, viewpoints, cultural and archaeological sites, etc. Also shown are harbours, marinas, restricted anchorage sites and locations of nautical fuel suppliers. The legend, conveniently placed on each side of the map, includes English. PLEASE NOTE: to see the individual maps from this set please click on the series link. For convenience, we have also listed with this series Kompass map of Istria at 1:75,000 (No. 238) which has the publishers’ traditional cartography, markedly different from the other three maps (Nos. 2901 – 2903).